BioOhio is proud to have a board comprised of some of the most influential leaders in Ohio’s bioscience community. From all corners of the state, and representing many business elements within the life cycle of a company, this leadership assists BioOhio accomplish its mission. Peter Kleinhenz is a senior executive in life science and technology businesses with over 25 years as experience as an operating executive, entrepreneur, consultant, and investor. Throughout his career Peter has driven results through his skills in strategic and operational planning, product planning and development, operations, finance and administration. He has worked across the spectrum of companies from start-ups to late stage technology-based enterprises. Prior to joining Myonexus Therapeutics, Peter worked with CID, Fletcher Spaght, Battelle, Progenics, and Neoprobe. Peter received an MBA from Case Western Reserve University, his undergraduate degree from Loyola University of Chicago, and is a Certified Public Accountant licensed in Ohio. Dr. Brummet has broad experience in life science research and product development, startup and global companies, innovation and technology commercialization, technology-based economic development, and open innovation. 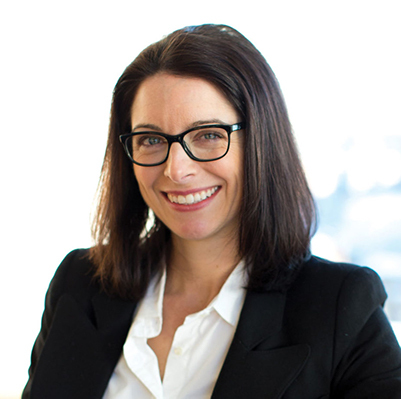 Shauna is highly collaborative and connected in the innovation ecosystem. Development and commercialization of new technology, creation of teams and organizations, public-private partnerships, entrepreneurial coaching, innovation and entrepreneurship in higher education and open innovation are key areas of her expertise. Shauna is a graduate of Purdue University (BS in Microbiology), University of Akron (MS, PhD in Analytical and Biochemistry), and post-doctoral work in molecular biology at The Ohio State University Ohio Agricultural Research & Development Center. Previous employers include United States Biochemical, Amersham Life Sciences, Edison Biotechnology Center/BioOhio, NineSigma, and Fluence Therapeutics (founder). Susan currently serves as the Director of Human Resources for Alkermes, Inc., a biotechnology and pharmaceutical manufacturing company in Wilmington, Ohio. Previously, she was the Human Resources Business Partner for Clopay Plastic Products Company in Augusta, KY and Nashville, TN, and started her HR career with NCR in Pennsylvania. Susan has her undergraduate degree in Business Administration from The University of Michigan, and a Masters of Human Resource Development from Xavier University. She is immediate past president of the Human Resources Association of Southwestern Ohio. Susan talks about some of her proudest moments working at Alkermes in this video. Before coming onboard with CoverMyMeds, Erica spent five years at Vertex Pharmaceuticals as a medicinal chemist. Erica completed her Bachelor of Science in Biochemistry from California Polytechnic State University, her Ph.D. in Organic Chemistry from The Ohio State University and continued on to achieve a Post-doctorate in Organic Chemistry from The Scripps Research Institute. As VP of Operations at CoverMyMeds, Erica is responsible for overall leadership of operations, analytics, forecasting, recruiting and training. Bill is an experienced professional in the healthcare, research, and medical device fields. Most recently, Bill served as the Vice President of Sales & Marketing for EG Industries in Columbus, Ohio. EG Industries’ medical business unit is EG-GILERO. 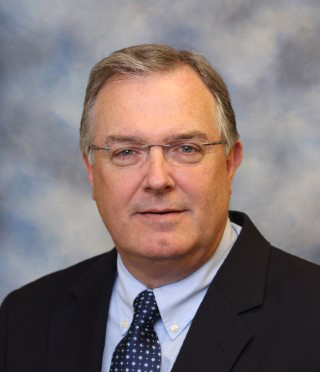 Before joining EG Industries, Bill spent seven years with Battelle as its Vice President and General Manager for the Consumer, Industrial and Medical business unit. A native Ohioan, Bill has spent his entire career in healthcare, initially working as an ICU Registered Nurse for five years. After business school, he started a 25+ year career in medtech and biopharma with leadership roles in sales, marketing, strategy and general management with Roche Diagnostics, Smiths Medical, Philips/Respironics, Karmel Medical and Hill-Rom. He holds degrees from: Anderson University, AS Nursing; Monmouth University, BS Business Management; and Capital University, MBA. 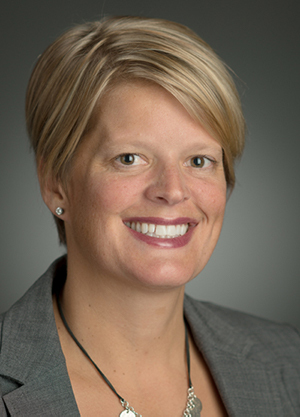 Jennifer Fillman oversees Cardinal Health Specialty Solutions’ capabilities in medication access and patient support, healthcare marketing and analytics, third-party logistics and strategic accounts. Prior to her current role, she held several other finance and operations roles at Cardinal Health, most recently serving as vice president of Finance for the company’s Specialty Solutions business. Jennifer received her BA in Economics from Ohio Wesleyan University and her MBA from University of Dayton. Mr. Gorski has been President and CEO of NAMSA since 2006. He earned his undergraduate degree in economics from Indiana University and law degree from California Western School of Law in San Diego. Mr. Gorski served as a Deputy District Attorney for the San Diego County District Attorneys’ office in the early 1990s and held roles in commercial law firms. After joining NAMSA in 1992, Mr. Gorski began in sales and business development, then grew to oversee several corporate legal and administrative functions which included regulatory submissions, interactions with FDA and other international bodies, Information Technology and Human Resource units. In 2002, Mr. Gorski became Operations Manager over NAMSA’s Northwood, Ohio laboratories and was later promoted to Vice President, Operations, overseeing all of NAMSA’s laboratory operations. Mr. Gorski is a former member of the California, Georgia, and Ohio Bars, and sits on several Boards of Directors/Trustees, both for-profit and not-for-profit including the Toledo Opera Association Endowment, Young President’s Organization and BioOhio. Matrix Medical Device founder and visionary, Stephanie Harrington has over 20 years of management experience in the medical device industry, including regulatory affairs, quality system compliance, clinical studies, product development, and commercialization. Guiding startups and established companies alike through new product development and regulatory affairs management is her current mission. Previously, Stephanie served as Chief Operating Officer of Frantz Medical Development, responsible for new product development, manufacturing, and corporate regulatory and quality affairs. Stephanie also served as Vice President and Chief Regulatory Officer at Imalux, establishing the company’s quality system, 510(k) clearances and clinical studies. Prior to Imalux, she was Director, Research and Development at STERIS, responsible for product development of medical device reprocessing systems. Stephanie earned a Masters in Chemical Engineering from Stanford University and holds a BS in Chemical Engineering from the University of Maryland. In his current role at the University of Cincinnati, Jason leads the institution’s office supporting patenting, licensing, and startup efforts. He also directs the Novel Devices Laboratory, which has established highly-focused international leadership roles in emergent technological paradigms that include electrowetting, electronic paper, and most recently sweat biosensing technology. In the first decade of his career, Jason already accumulated the most patents and licensees of any faculty member in the history of the University of Cincinnati. He is a serial entrepreneur, and his most recent company, Eccrine Systems, has been recognized as a top 50 global startup by Bloomberg/Quid. In his service roles to the University, Jason has led the creation of programs and coursework that foster innovation, entrepreneurship, and an understanding of the profound impact that technology has on society. Mike has extensive experience in the medical device industry in a broad variety of technical and clinical areas. He is the founder of five medical device companies and holds over 85 issued and pending US patents. Enable Injections is a start-up company focusing on painless injections for vaccines and other drugs. 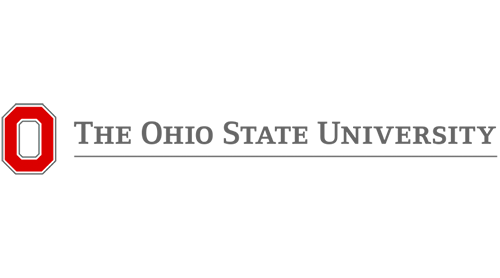 Enable Medical Technologies is a start-up company focusing on opportunities in minimally invasive procedures. Mike is the founder, and a Director of AtriCure, Inc., a medical device company that manufactures and sells surgical devices designed to create precise lesions in soft tissue. He was Director of Product Development at Ethicon Endo-Surgery from 1988 to 1994, and held engineering positions at Siemens/Pacesetter from 1986 to 1988, and at Cordis Corporation from 1981 to 1986. Mike earned a Bachelor of Science in Physics and a Master of Science in Mechanical Engineering from the University of Michigan. John Lewis, a 4th generation Ohioan, is the President and CEO of BioOhio, Ohio’s bioscience membership organization. He is a licensed attorney with experience in international business, venture capital investments and economic development. He was a founding partner of the First Fifty Fund and Ohio TechAngel Fund. John has more than 18 years international experience, lived in Jamaica, Korea and China, the latter two with Perkin Elmer, while traveling to more than 42 others. John is a graduate of Miami University (Ohio) and Capital University Law School. Peter Mohler joined The Ohio State University in 2011 as the Director of the Dorothy M. Davis Heart and Lung Research Institute. 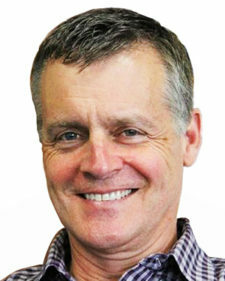 Prior to this role, Mohler served as Deputy Director of the Diabetes Center and Distinguished Associated Professor of Cardiovascular Medicine at the University of Iowa. He completed his undergraduate work at Wake Forest University, received his PhD from the University of North Carolina, did a Post-doctoral fellowship in the Howard Hughes Medical Institute at Duke University, and held his first faculty appointment at the Vanderbilt University Medical Center. Mohler currently holds multiple NIH extramural grants, is the recipient of honors and awards for his work, serves on national scientific review boards for the US, UK, Italy, France, Belgium, Austria, and Israel, and is on the editorial board for seven journals. Geoff has been with Quidel/Diagnostic Hybrids since 2003, serving as Vice President and Chief Financial Officer, and most recently as Vice President and General Manager. Prior to Quidel, Geoff was with Blue Chip Broadcasting and PricewaterhouseCoopers, both in the Cincinnati area, for 15 years. Geoff is a graduate of Miami University and University of Tulsa (Oklahoma). As managing director, Aaron Pitts has responsibility for defining and executing growth strategies for Ohio’s Biohealth and Agribusiness and Food Processing industries. Aaron joined JobsOhio in 2013 after spending the past 12 years at Cardinal Health where he focused on strategy, business development, and general management roles for the $100b global healthcare services company. Previously, Aaron held management consulting positions with Ernst & Young and PricewaterhouseCoopers where he executed operations strategy initiatives across consumer packaged goods, food processing, healthcare, and financial services sectors. Education: University of Minnesota, MBA; The Ohio State University, BSBA. Gordon Rosenberry is the Director, State Government Affairs for Johnson & Johnson with responsibility for all state government issues in Ohio, Kentucky and Indiana. Johnson & Johnson is the largest, most diverse healthcare company in the world with a product mix in the pharmaceutical, medical device and consumer products areas. Gordon currently is the Chair of the PhRMA SGA Task Force in Ohio and the Vice Chair of the PhRMA SGA Task Force in Kentucky. Gordon also is a member of legislative advocacy committees for BioOhio and the Indiana Medical Device Manufacturers Council. Previously, Gordon worked in the State Government Affairs area for Schering-Plough and Zeneca Pharmaceuticals. Gordon is a graduate of Wright State University with a degree in Marketing. Gordon is a lifetime resident of Ohio, born and raised in Springfield and lives with his wife Jennifer and two boys in Cincinnati. Mr. Sieron has worked for a number of both publicly traded and private companies in his career including DG Medical, AcuTemp, Thermo Electron, the Swedish company Sunds Defibrator, and most recently with P&C Pharma as President & COO. Mr. Sieron’s professional accomplishments include sitting on various Boards of Directors in fiduciary and advisory capacities, successfully executing several acquisitions, setting up various global sales networks and being awarded numerous patents. Mr. Sieron holds a Bachelor of Science degree in Mechanical Engineering and a minor in Business from the University of Cincinnati. He has continued his education with executive education courses in finance, management, and other disciplines from The Kellogg School of Management at Northwestern University and Xavier University. Jon Snyder is the Founding President and CEO of Neuros Medical, Inc., a Cleveland, Ohio based neuromodulation company focused on developing proprietary therapies for unmet needs to patients worldwide. He holds over 20 years of global management experience in biomedical and healthcare sales, marketing, and operations with significant experience in bringing new products into the marketplace. His background covers business development, product development, market management, sales management, venture capital investment, and fundraising at start-up and Fortune 500 (Top 20) companies including Cyberonics, Cardinal Health, Imalux, and STERIS. Snyder has a B.S. from Ohio University. Charles Steiner has over 25 years of experience in medical technology development. Prior to joining CCI, Charles was a product development engineer for the Center for Neurological Restoration and a business and technology developer for the Center for Minimally Invasive Surgery at Cleveland Clinic. His contributions have been in the field of surgical navigation for cranial and spinal indications, neuromodulation for movement and cognitive indications as well as neuromodulation for headache and autonomic indications. Charles received his BS in chemistry and computer science from Case Western Reserve University. Stacy Strauss joined the Innovation Center as the Associate Director in August 2014 and was promoted to Director in October 2016. At the Innovation Center, Ms. Strauss oversees the staff, makes connections for clients, oversees facility management, fundraising efforts, budget analysis, grant writing, and other Innovation Center operations. She was instrumental in securing a $2 million dollar grant from the Appalachian Regional Commission in 2016. Ms. Strauss joined the Innovation Center from Hocking College, where she served in a dual role as a Student Affairs Coordinator and Career Services Director from April 2013 through August 2014. Ms. Strauss holds a bachelor’s degree in history from Kenyon College and a master’s degree in education from Ohio State University. She also holds a Business Incubator Management certificate from the International Business Innovation Association. 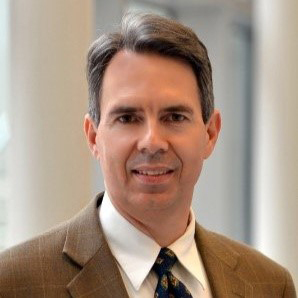 Andrew Wooten came to Cincinnati Children’s from Baylor College of Medicine in Houston, where he was the founding executive director of the Innovation Development Center since September 2014. Prior to Baylor, Wooten was director of outreach and commercialization for Gateway University Research Park in Greensboro, NC, from 2010-12, which supported technology-based companies. Wooten has held positions in industry, academia, and as a biotechnology entrepreneur. Wooten received a bachelor’s degree in chemistry from Berea College, a master’s in biotechnology from the University of Georgia, and a master’s in business administration from Mercer University.